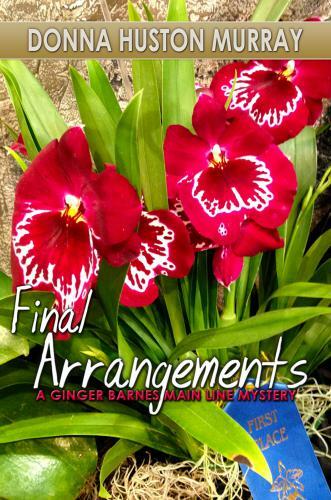 Fierce competitor Iffy Bigelow gets herself strangled at the world-famous Philadelphia Flower Show, and if she ever wants to hear the end of it, Ginger Barnes must unearth whoever killed her mother’s dear old friend.
. The biggest problems: hundreds of suspects, and a tough inner-city cop Gin once attempted to protect from a kindergarten bully. Det. Mills would prefer not to accept her help again.